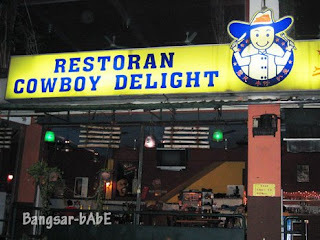 Went to Cowboy Delight last Thursday for supper. 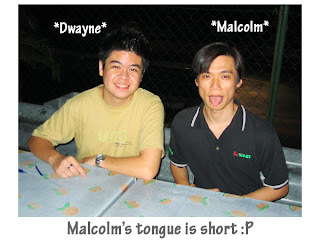 Reached the place close to 12 midnight and we (William, Malcolm, Dwayne and myself) were famished. rif joined us too but he didn’t order anything. That fella was there earlier with his friend. 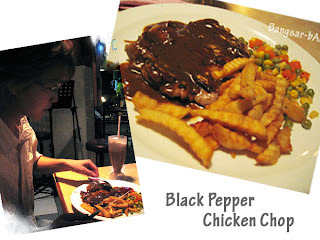 0_0 I ordered the Mushroom Chicken Chop (RM 9.00) while William had the Black Pepper Chicken Chop (RM 9.00) & Ice Blended Tiramisu (RM 5.80). 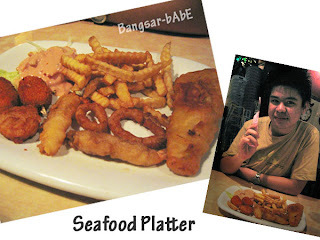 Dwayne had the Seafood Platter (RM 13.80) and ordered some Escargots (RM 9.80) to share. The escargots were mediocre. I found it on the rubbery side. 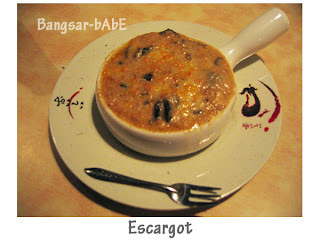 Then again, I hardly order escargot so don’t just take my word for it. I like the cheesy creamy sauce that it came with though. 🙂 My chicken chop was forgettable. I thought the portion was rather small. 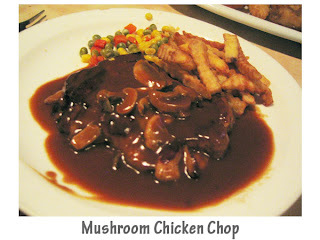 The breaded chicken was deep fried and topped with mushroom sauce. I found it dry and bland while the accompanying mixed vegetables were stale tasting. The criss-cut fried were ok; I enjoyed dipping them into the escargot gravy…so did everyone else. Service was poor and they forgot Malcolm’s coke and worst, they forgot entirely about his mixed grill. The poor guy got fed up so he canceled his order. Only 2 tables were occupied so I don’t see how they can mess up the orders. The bill came up to RM 59.80 inclusive of 5% tax and service charge. I find the food pricey for the portions they serve and thought the service was utter crap. Verdict: Small portion and not so tasty food. I won’t be coming back anytime soon. 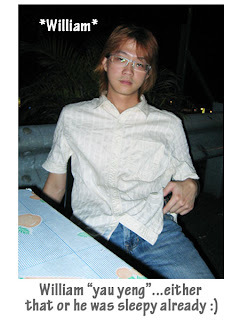 just now went to there for drinks, saw the portion quite large ya. mayb u could get another try to b there ya.